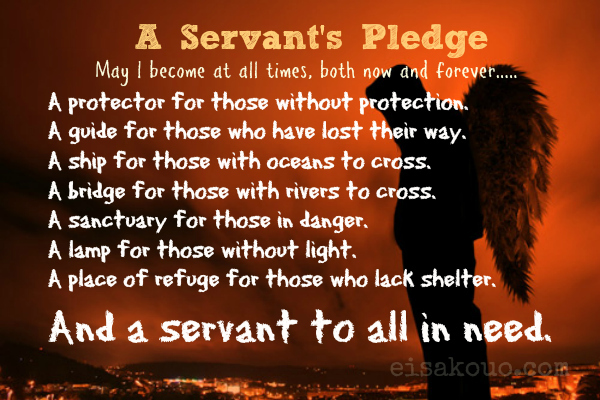 This is a Servant’s Pledge to wrap-up my four part series on Being a Great Servant. In case you missed it here are the links below……. You Might Be a Great Servant If… #1 You Know Your Gifts Are From God!